After reading a bit on FAIR, FARMs and other Mormon apologetic sites I realized I needed to look up the definition of apologist. FairMormon is a non-profit corporation that is dedicated to helping people deal with issues related to anti-Mormonism. What does the word “apologetic” mean? What an apologist does is really important to know if you are seeking raw truth. Their primary goal is defense of the faith. An apologist tries to explain away the information that you run into that causes you issues. These are the guys that help you build the framework for the ‘shelf’ that holds up all those things-that-don’t-make-sense-about-the-church-that-you-set-aside-to-ask-God-when-you-die-and-he-reveals-all-answers-to-you questions. This is a form of compartmentalization that we humans are pretty good at doing. Consider just one example, when I first discovered the polyandry of Joseph Smith I looked up many of the apologetic responses. Here is a link to one of them. There are pages and pages of explanation from one Brian Hales, of why Joe married other guys wives. It was a tough read because I was still reeling from the fact that he did it at all. I mean that hadn’t ever come up at all in sunday school lessons! Even today in the church’s new more open approach to history the recent official statement on polygamy completely avoids the polyandry topic even though church historians know it happened. The first thing that stuck out in my mind was the apologist was saying ‘yep this did happen’ and then working really really hard to explain why it was ok. In this case there are all sorts of different reasons that apologists have some up with to explain pretty much the same behavior that Warren Jeff’s does today causing our stomaches to churn. Their goal is simple, keep you believing despite the stomach churn when you find out what you thought were lies from those anti-faith types were in fact actually true. All religions have apologists. Catholics, Christianity, Muslims, ect. They all start from the premise that what they believe is 100% true and then gather as much evidence as possible to defend that point of view. Generally speaking an apologist cannot even consider the possibility his faith is in error. The funny thing about real truth though, is it doesn’t need apologetics. What I am saying is there are no apologists defending Newton’s law of gravity. The facts just speak for themselves. Apologetics seem to work really hard to explain away difficult facts. The bit of history in my example above is that the founding prophet of Mormonism married other guys wives (often after sending them away on a mission). A really simple explanation of this action is Joe was lying about the whole thing and really was in it for the women and money. But accepting that answer (which also lines up with human nature and personal experience) well, it shakes your faith, makes you question what you believe. Fortunately fixing shaken faith is exactly what apologists are here for! There job is to keep you doubting your doubts as long as possible. Being an apologist has a kind of a rush that comes with it. It takes lots of study and effort to be able to weave together a plausible explanation for marrying 14 year old girls or starting fraudulent banks or explaining how the word translate doesn’t mean translate. What you get for all that effort is a lot of kudos from people that really enjoy your sunday school lessons because you don’t mind delving into the more difficult yet interesting stuff. Your religious community values all that work quite a bit. If you are a smart guy and did the research, they can trust you and not have to do it themselves. When you are really good at historical apologetics, you can weave a way you think it might have gone down that keeps you believing and at the same time share a very moving testimony of your own experience searching for answers. Others that are suffering shaken faith syndrome and are desperately looking for a reason to believe will love you for it. They will refer others that question to you, increasing your pride in the ideas you propose. It can be a very soul filling, spiritual endeavor helping others keep their testimony intact. There is no doubt in my mind that part of the appeal of being an apologist is how much it feeds your ego. I think any student that digs into his religion to try and find truth becomes at least a successful personal apologist. It is how you formulate your own shelf. If you really like it a lot and you take it out for a spin more publicly in a sunday school lesson or priesthood meeting you discover that an honest open approach to the difficult issues is the single best way possible to jazz up an otherwise very boring weekly chastisement about how you are not doing enough home teaching. It is a way to become a superstar in your ward or stake or parish. So if you are interested in becoming an apologist here 6 key steps to help you on you way. Study source documents, become versed in the origins of you religion. As you study remember this important advice. If you find something, anything that supports your cause it is good and should be lauded no matter how tenuous. If it shakes your faith it should be discredited if at all possible to save the effort of trying to explain it. Case study: David Whitmer in his Address to all believers in Christ says two significant things. He says that he still witnesses the Book of Mormon and if you believe that you should believe his testimony that Joe Smith is a fallen prophet and the church in Utah got it all wrong. It is totally ok as an apologist to celebrate the fact that he testified on the founding book of the religion while an apostate and at the same time call him a liar for saying prophet Joe was a fallen prophet just like David when he wrote psalms. Remember this most people aren’t gonna look up your sources and read the context so it is ok to mix and match the quotes together in a way that defends the faith. After all remember your primary job is to defend the faith and some truths aren’t very useful for that. Be eloquent. To be a successful apologist it helps to personalize what you are talking about. Come up with great stories to tell, create a setting for the facts you are about to pass on. It doesn’t even need to relate to the topic at hand at all. All that matters it the story is full of truthiness and good morals. In fact if it is a really difficult topic to discuss, the more you can avoid actually talking about the specifics the better. This exposes the poor souls struggling with their testimony to more spirit which they really really need or they wouldn’t be questioning at all. Then if you have them on this spiritual high you can sorta just brush over the topic with an I-don’t-know-but-choose-to-believe type statement that will help them just shelve the topic and not ask about it anymore. In apologetics simple answers usually don’t work so don’t ever try using Occams razor as it might cut you. Also don’t feel a need to answer the questions the person asks since that is irrelevant when it comes to defending the faith. Deal with one issue at a time. Primarily you do this so that your answer in one case can’t be compared to your answer on another issue. 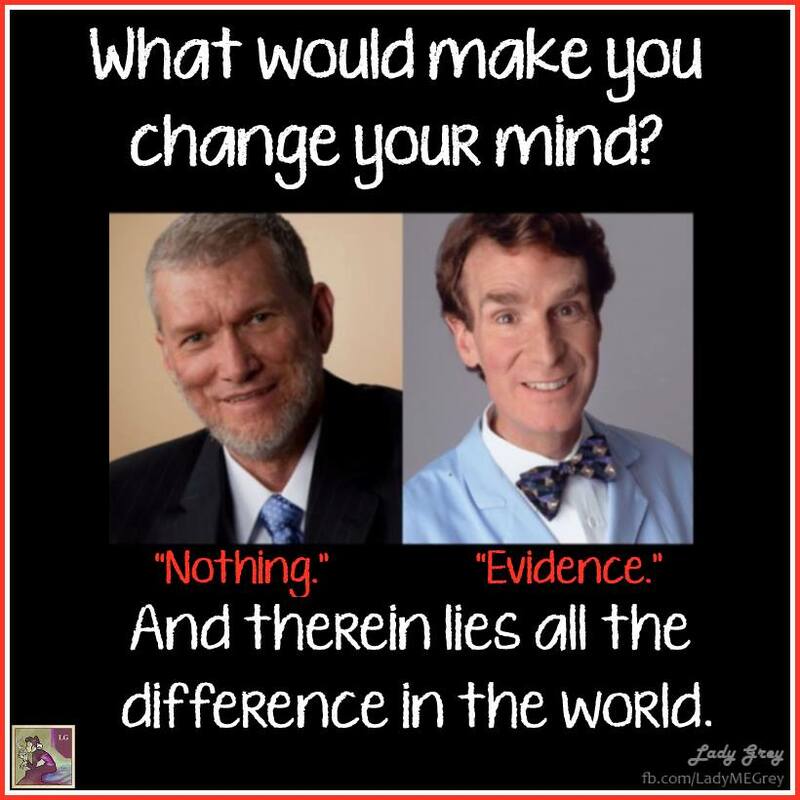 For example if you are dealing with the fact that DNA evidence discounts the historicity of the Book of Mormon it is totally legit apologetics to find some data from 25,000 years ago that might support your ideas. You can see why it is very important however to avoid discussion of ideas such as the universal flood which if you think about it must have killed anyone from 25000 years ago. When saying the DNA question has been asked and answered there is no need to compare the answer to the fact that the story starts in 600 BC. If at all possible compartmentalize this information in your own head to the point that you can’t even discuss more than one issue at time. Feel free however to skip to a different issue of your choosing should you feel like you are losing ground in a debate though. Remember how smart you are. If the person you are defending the church to just can’t see how your complex explanation works, its not your fault. Some people are just not able to understand the complexities of the situation and see the way the puzzle fits together. This is probably because they are sinners or are so past feeling that you can’t reach them. If you run into this type of person it is ok to insult their intelligence. After all they are nothing more than a servant of the devil since they are willing to even consider the possibility that these guys who claimed to talk to God might have been making it all up or possibly suffering from their own delusions. You might run into someone that knows the tricks of these apologetics and they can quote your own words back at you showing how your own answers are not internally consistent. These people are word twisters. Remember that you believe what you do no matter how illogic they make it seem. Rather than try to explain your own words and help them understand, refer to step 3. No matter what, never, ever, ever question your own views. Remember the feelings of adoration from other people that you have helped keep the faith. This is proof you are right! Cling to your testimony no matter what logic is presented to the opposite. After all no one can actually prove a negative. If they don’t believe you, it is because they haven’t felt what you have. Besides even if you are wrong, it is still a good way to raise your family. There you have it, how to be a good apologist. If you need an example, here is one from the head of FAIR doing an excellent job defending the fact that church has actually taught the history of polygamy despite the fact that a search for the names of Joseph Smiths wives can’t be found on LDS.org. So there you have it, how to be a great apologist. One bit of warning though if you decide to be an apologetic, the whole they don’t apologize bit is kind of misleading. In every single discussion I have had with an apologist in my post apologetic life they have told me they are terribly sorry that I can’t see the same light they can and accept all the convoluted explanations and I don’t know’s they offer as opposed to the simple conclusion that explains it all. Religion is something men made up. They seem to be constantly apologizing for your lack of belief. Now If you rather think apologetics isn’t for you, you will have to be willing to be humble enough to realize that your own assumptions could be wrong. Then comes the clincher, you need figure out a way to honestly test your own biases and be willing to accept the evidence where it leads no matter what it means. Kind of like science not only accepts being wrong it celebrates the new understanding that is validated by independent tests and conclusions. Hmm… maybe that is why real truth needs no apology. It just is. Good point Roy but it might go without saying that all relgion fails the reasonable person test.If you apply logic to faith it(faith) requires you to believe and accept some quite unbelivable things(and out right lies) as fact and truth without question. One other aspect to consider is that an apologist’s job is to present faith-promoting explanations to troubling history. So for any issue, they’ll present (usually) multiple alternatives that can prevent someone from concluding that the church is false. But what they don’t discuss is that their alternative explanations are always the least likely explanation when balanced with all the evidence available. In other words, the apologist’s explanation usually always fails the “reasonable person” test, that is, if a reasonable (and reasonably unbiased) person were presented with all the available evidence, what is their likely conclusion? I can almost guarantee that they will rarely if ever side with the apologist. This is why apologetics typically speed up the process of leaving for the person that is willing to question their deeply held beliefs. We don’t want to lose them. Because of the hope, joy and purpose we feel those beliefs give us. It’s human nature to cling unreasonably to something we love. Thus far, every gung ho apologist I’ve encountered who is actively putting him/her self and ideas out in public has had a gigantic ego. Coincidence? Step 1 makes me wince. I was terribly guilty of this when I was Mormon. I would only share the uplifting portion, because I didn’t want those who were doubting to have to deal with this extra information that I had deemed unnecessary. Oddly enough now that I’m an “anti-mormon” I am careful to expose all the facts, even the ones that detract from my point. A quick example: the Book of Mormon has many plagiarized passages from “The Late War” and “The First Book of Napoleon.” While we know Smith owned a copy of the Late War, we don’t know when he acquired it, nor when/if he read it, and we don’t know whether or not he ever saw a copy of the First Book of Napoleon… but the plagiarism makes it quite clear that he read both. When I’ve told this to some Mormons, most immediately come up with 2 excuses: 1) Smith never read those books, but that those authors were similarly inspired from god or 2) Smith read those books and it informed his choice of words for translation. You can contrast my openness in explaining the difficulties with my accusation with their desperate attempt to hedge all bets by choosing both sides of the argument: no plagiarism or plagiarism that doesn’t prevent it from being true. Likewise the recent articles about the Book of Abraham take all sides: not a literal translation, but maybe it is a translation and specialists are mistaken about the translation. So you are right… Apologists don’t apologize. But, they also wont take a finite position. That is totally true. One of the secrets to apologetics is to never be pinned down to a testable conclusion. I was debating this point yesterday with some believers that think scientists are apologetics in that they defend their work. I rather think this is not the case because the scientific approach is to draw testable conclusions and then test them to see if the evidence supports it. I really enjoy your Fridge! During the first part of this year I expressed my opinion in an apologists FB chat room. Their admin(s) accused me of being disingenuous, playing a legalistic game, and trolling. They used ad hominem attacks when I asked a reasonable and valid question in my post. I think it is a big narcissistic ego fest among the moderators of that forum and any people who disagree with their premise are subject to their vitriol, venom and name-calling. The bullies there bring out feelings of anxiety, sadness, inferiority, and inadequacies in others by their manner of speech, where they rarely, if ever, see the real impact their words have. I have no problem with people expressing different opinions in the spirit of civility; yet the manner in which moderators treated me on their forum was a shining example of only seeing one viewpoint, and using character assassinations for all other views they disagreed with. They are more interested in being “right” than having a discussion about different ideas while they break their own forum rules and then condescendingly reprimand others for doing the same. I found it’s a place where people parrot the same propaganda yet when someone challenges the status quo their moderators and followers dish out the marginalization. My 2¢ worth. If someone unjustly berates me while telling me how important the gospel is and how wrong I am, while putting words in my mouth and unfairly judging my motives, then, simply speaking, they are doing a disservice to the church they represent. Some of their moderators (Mr. Barksdale, Mr. Taylor, et al) need to look at themselves in the mirror. I personally have had the pleasure of debate with MR Barksdale. If some of the GA’s I know where to read the thread and shown how a person questioning is treated I am sure they’d be less than impressed at his approach.